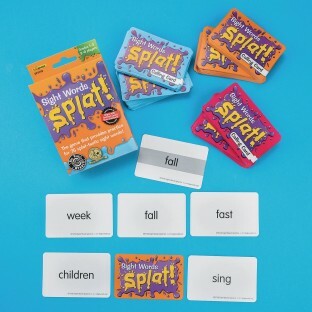 Fast-paced games provide practice for 75 splat-tastic sight words! 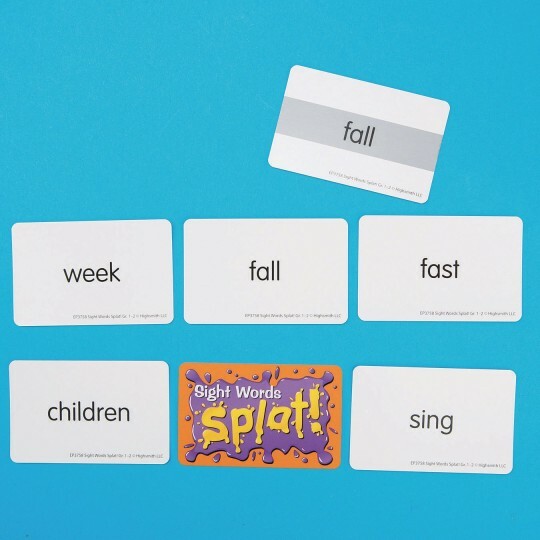 As the caller reads each sight word aloud, players scan the cards in front of them. If a player has a matching word, he or she says "SPLAT" and flips the card over. The first player to flip over all of his or her cards wins. Three color-coded decks make it easy to adapt the game for one-on-one practice or multiple players. For 2 to 6 players. Set of 225 cards.